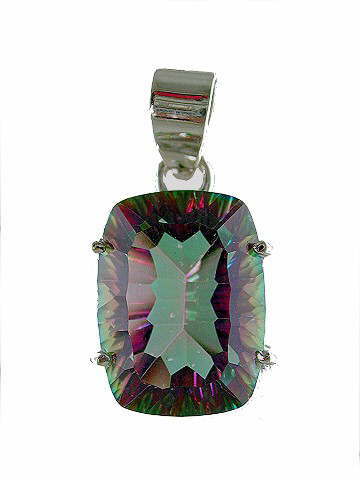 Beautiful, cushion-cut Mystic Topaz facet, set in a 925 sterling silver mount. This pendant was difficult to photograph and sadly, the picture doesn't do it justice. It is far brighter, more vibrant and colourful 'in the flesh' - we guarantee it!